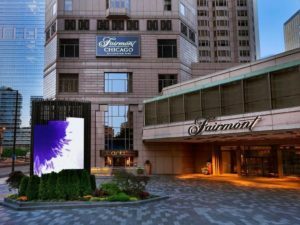 A block of rooms has been reserved at the Fairmont Chicago-Millennium Park, October 25-26, 2019. Reservations need tobe made by October 3, 2019 to receive the conference rate of $239/night plus tax. Parking is extra. Please book early. Once the group block is sold out you should call the hotel to check on availability..